The NYSE provides an avenue for buyers and sellers to trade shares of stock in companies registered for trading. Much like the American Stock Exchange, is one of the stock markets that can also trace its beginnings back into early American history, as far back as 1792 when the first traders came together to form an exchange market for stocks. However, it wasn't actually until almost 100 years later, in 1863, that the New York Stock Exchange was named. Although it might not seem like it, since it's only named after one city in the United States, the NYSE is actually the biggest stock exchange worldwide when it comes to value by the dollar, and second only to NASDAQ when it comes to the amount of companies that use its services for trading. For an idea of how big it actually is, it was responsible for over $25 TRILLION of business last year. Arguably the easiest market for trading, the New York Stock Exchange uses both on-the-floor trading as well as an electronic system similar to NASDAQ to not only buy and sell stocks and shares, but to also offer some of the fairest methods of trading anywhere. 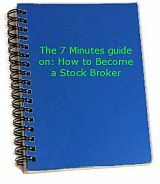 Working more like an auction than anything else, the New York Stock Exchange sees traders using one single specialist broker to bid for shares, ensuring that everyone has the same chance as each other to buy or sell successfully. The New York Stock Exchange continues to grow today, with the recent acquisition of rivals Archipelago and this year's merger with Euronext prompting many to believe that it will soon be bigger than even NASDAQ.